Over the previous year students at Charleston Collegiate have been participating in Combined Upper School Public Speaking Competition/Photography Competitions. These competitions are designed to bring enrichment programs to students, to use their classroom instruction to produce their own best work, to give students an exposure to and an opportunity to work with adults who are experts in their fields, and to provide material to document their excellent work for the college admissions process. 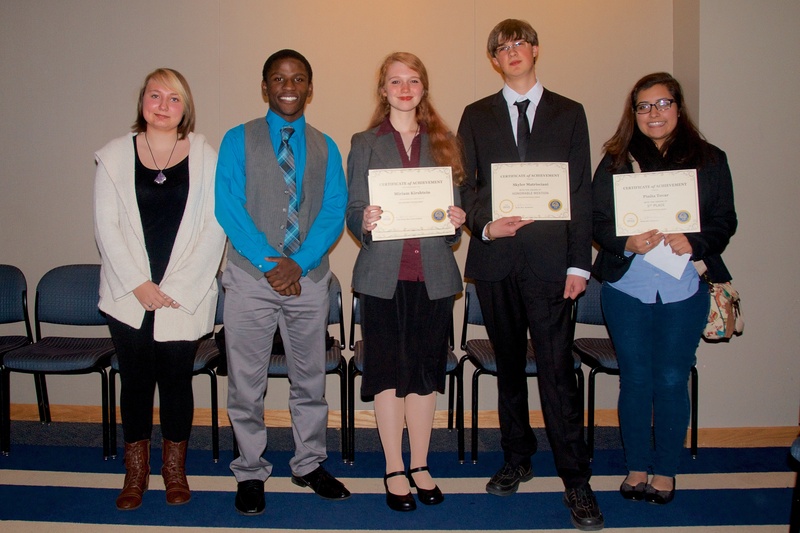 The competitions concluded this month and on Jan. 7 the students were presented with awards for their efforts. The Photography Competition began in March with a lecture by John Sanders on the different types of portrait photos. Students were assigned five portrait photos to be wide medium and close-up shots, formal/informal and environmental photos of five different subjects. John provided a critique in April. Noted, retired Time/Life Food photographer and Field & Stream photographer, Arie DeZanger gave a presentation in April on his long career. Alice Keeney, well-known photojournalist who shoots stories for AP, National Geographic, the Family Circle Cup here in Charleston and is known for her wedding photos, lectured on photojournalism. A photojournalism assignment was given to the competing students. They were to write a paragraph describing the story that their photos were meant to tell and submit 8-12 images to tell that story. Judges Alice Keeney, Sue Corcoran and Jack Kotz judged the submissions and awarded honorable mention to Kymet LaBoard and Skylar Matriciani. First place and a $500 cash prize was awarded to Pinita Tovar. Other participating students were Emily Alberg, Kaitlin Eakin, and Miriam Kirshtein. Students were mentored by community experts in photography during the process, including Renee Black, Ron Chamberlain, Gretchen Gross, Shauneen Hutchinson, Judy Percival and John Sanders. A sampling of the student work was on display in the John’s Island Public Library during the entire month of December and was well received by the community. The Public Speaking Competition began in the fall of 2014, and was aimed at inspiring students to participate in a public speaking competition to hone their skills. Six students volunteered and each chose a subject from a short list and each was paired with a community mentor. The mentors were Nedra Hecker, retired curator of marine mammals at the National Aquarium in Baltimore; Tom Hudson, retired partner; Lord Abbett, Whit McMillan, Education Director, SC Aquarium; Chris Drury, president Kiawah Island Real Estate and Anne Cleveland director, Charleston Library. 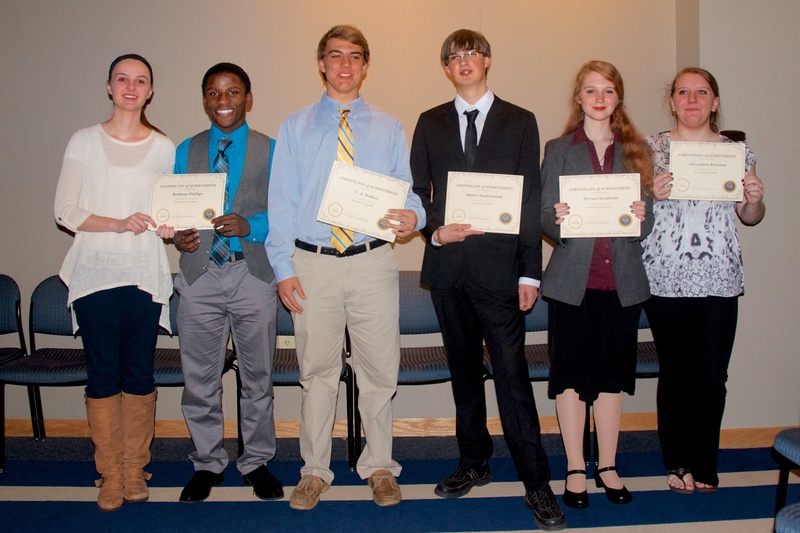 Contestants presented their final speeches, with visual aids, on Jan. 7, 2015 at the John’s Island Public Library to a standing room-only crowd. Judges Sharon Cooper-Murray, Andy Willits of Charleston Day School and Teddy Turner, Charleston Collegiate economics instructor and son of Ted Turner, judged the presentations. The first place prize of $500 in cash was awarded to Miriam Kirshtein who delivered a stunning presentation on school violence.